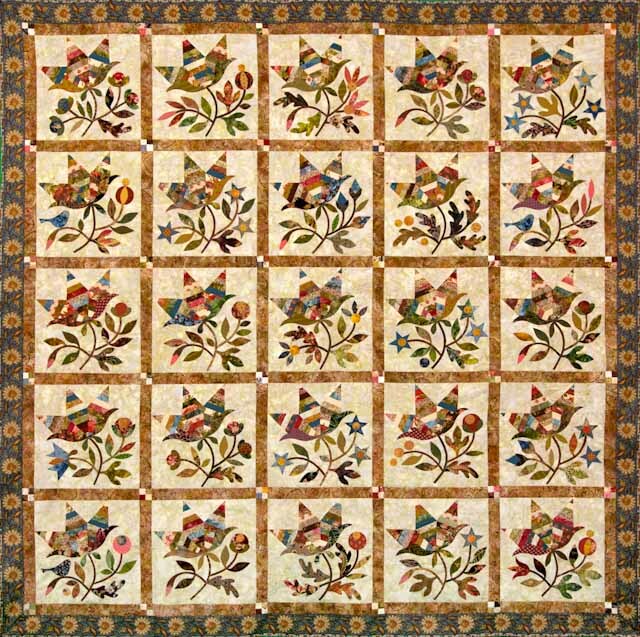 is my very favorite designer of quilts. 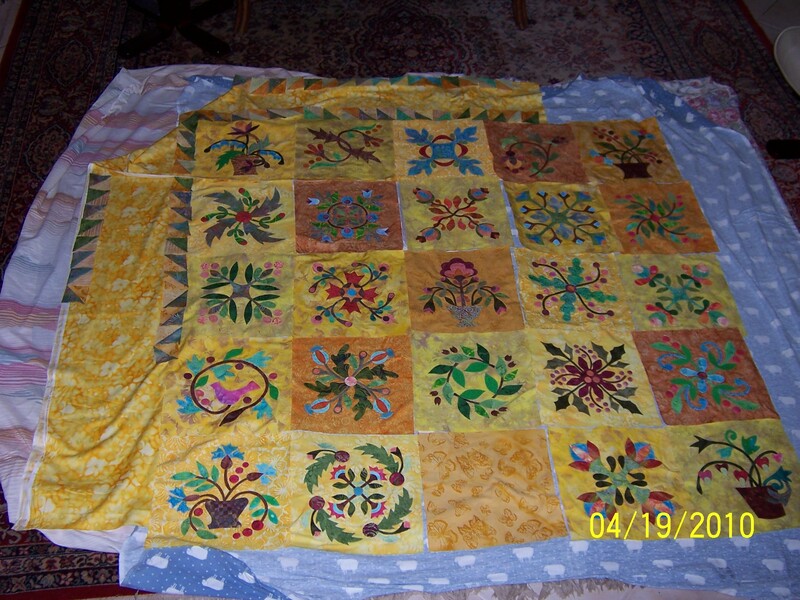 I have an applique quilt top finished that I love, designed by Edeta. I don’t have a picture of my top sewn together. How did that happen? 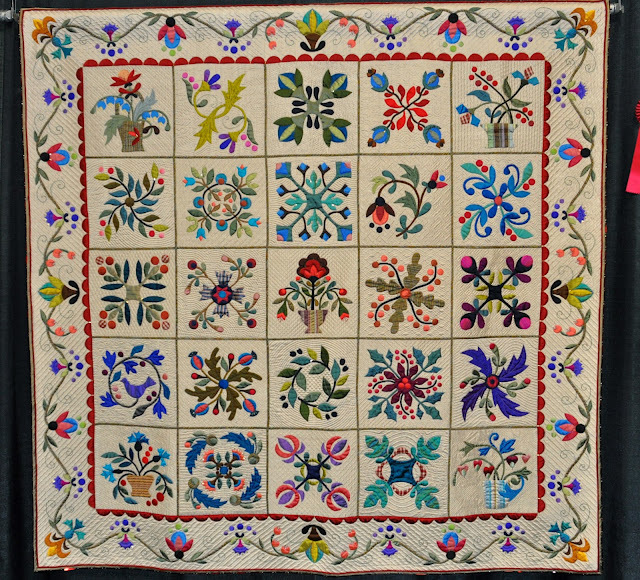 This is the same pattern, completely made of silk. GORGEOUS. 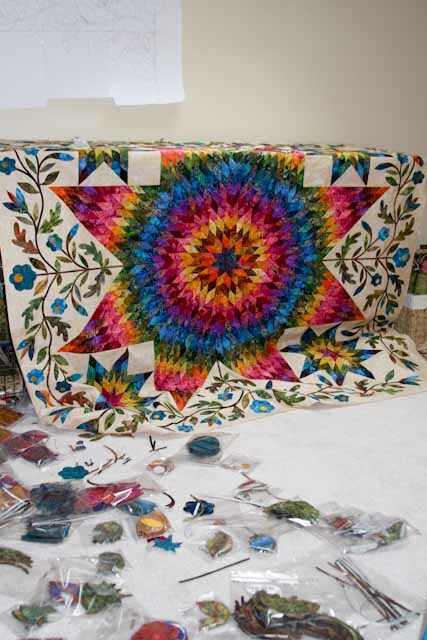 I’m not a big fan of Lone Star quilts, but I LOVE the color in this Lone Star. Well, instead of blogging I should be quilting my for my customers so I can quilt my Edeta.